1. 1979 batch Bihar cadre IPS Anil Kumar Sinha has been working as CBI's special director for the last one and half years. That means, he is very much an insider with the full knowledge of the cases in hand. 2. In CBI, Sinha has currently been handling Special Crime Zone, Mumbai Zone, Lucknow Zone, STF Zone, MDMA Zone, Kolkata Zone, North East Zone, Economic Offences Zone - II, , Chandigarh Zone and Bhopal Zone. 3. Prior to joining the CBI last year, Sinha was additional secretary in Central Vigilance Commission and had worked closely with CVC Pradeep Kumar. 4. 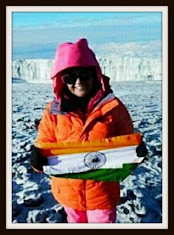 Sinha was selected from about 40 officers short-listed by the department of personnel and training (DoPT). 5. As CBI director, Sinha's name was announced officially past midnight. 6. Two of his colleagues from Bihar cadre, former DGP Abhayanand and Railway Protection Force (RPF) chief Krishna Chaudhary were also in the fray. 7. National Investigation Agency (NIA) chief Sharad Kumar, former Mumbai police commissioner Arup Patnaik and special secretary home ministry Prakash Mishra were also the strong contenders for the coveted post. 8. 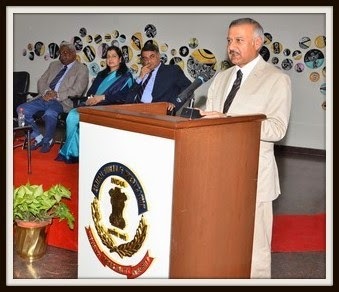 Choosing a 1979 batch officer for the CBI’s top post when 12 of the 1977 batch and six of the 1978 batch IPS officers were already in the fray, bears immense significance. Will Modi do the same while choosing the next cabinet secretary? Will a 1980 batch IAS be the next cabinet secretary? 9. Sinha enjoys a good rapport with outgoing director Ranjit Sinha. On Tuesday, he spoke during Ranjit Sinha’s farewell party. 10. Sinha has a clean image and is unlikely tob be a “caged parrot”. That he is a cagged parrot or not will be tested by time, and the authenticity of his clean image will put to test? By the very fact that out of 1977,1978 officers a 1979 batch ips officer has been appointed speaks of something? ?